Who Is Alice Martin Bishop? Meet our 10x great grandmother. In 1648, Alice Martin Bishop of Plymouth Colony was hanged for the murder of her 4-year-old daughter, Martha Clarke. Join us as we reconstruct Alice’s world. Here, we learn more about her origins, her husbands, her surviving children, and her Puritan community — all in an attempt to make sense of a crime so unnatural, it continues to fascinate, nearly 400 years later. We think of the Pilgrims as resilient adventurers upheld by unwavering religious faith, but they were also human beings in the midst of what was, and continues to be, one of the most difficult emotional challenges a person can face: immigration and exile. Being thus passed the vast ocean, and a sea of troubles…they had now no friends to welcome them, nor inns to entertain or refresh their weather beaten bodies, no houses or much less towns to repair to, to seek for succor. In fact, Bradford’s first wife Dorothy fell off the Mayflower (when it was moored in Plymouth Harbor) and drowned, and many speculate that it was not an accident but a suicide, Dorothy’s grief at leaving their three-year-old son behind in Holland unbearable. It’s easy to make Alice Martin Bishop (AMB) mentally ill. To insist she had postpartum depression, to assume she had to be psychotic. To make her a seventeenth-century Andrea Yates. Because the alternative is to imagine she is a cold-hearted, murdering mother. And for those of us who claim AMB in our family tree, that’s a real downer. Records of mental illness among seventeenth-century colonists were not kept, but references to people who were perceived as mentally or emotionally unbalanced appear occasionally in colonial records and other contemporary papers. Terms such as “mad,” “idiot,” “deluded,” and “distracted” were used to describe people whom we would probably consider as having attributes of a mental illness or intellectual disability (Eldridge, 362). In her book, A Disability History of the United States, Kim Nielsen suggests that, in colonial America, few adults would have been labeled with a disability or mentally ill as long as they could do the work they were tasked to do — cutting wood, churning butter, delivering sermons, and so on. So, when we’re looking for evidence that AMB may have been mentally ill, we’re not likely to find it because she still maintained her wifely and maternal roles. The trial records make no mention of her emotional or mental state (save the “sad and dumpish” comment by Rachel Ramsden), but why would they? The jurors believed Alice had knowingly, with intent, murdered Martha — and, indeed, she admitted to doing so. The first time I read about Alice Martin Bishop (AMB), the account included the above phrase regarding her murder of Martha: an event of which she said she had no recollection. Almost more than the grisly details of the crime, that phrase stayed with me, offering reassurance that Alice was certainly not in her right mind when she murdered Martha. Her amnesia implied some kind of psychosis or delirium or trauma that would help explain why she committed such an unimaginable act. Another variant of this phrase appears, positioned at the moment of Alice’s execution: “Before she was hanged, she said she had no recollection of what she had done.” When I eventually saw the original documents in the Plymouth Colony Records (PCR), neither phrase was there. When, and who, had added them, and why? Was it simply a case of sloppy transcribing? Was it another descendent, trying to give Alice an out, centuries later? Or was it someone trying to embellish the rather dry court records? I found more colorful embellishments with additional Internet searches. For example, Alice was described as “hysterical.” Again, I reread the primary source, unclear of how I could have missed such a dramatic detail. I missed it because it isn’t there. As Alice Martin Bishop (AMB) researchers, we are fortunate to be looking for information in the same time period that the Mayflower passengers landed and settled in Plymouth Colony (followed quickly thereafter by John Winthrop and the Puritans of Massachusetts Bay Colony). It’s one of the most-researched eras in U.S. history, and although we can’t place any of our AMB ancestors on that ship, we can benefit from all of the information that has been found by people who are investigating their Mayflower roots. We haven’t yet exhausted all of these sources, and we welcome our readers to jump in and help. The court records of Martha Clarke’s murder and AMB’s trial can be found in the Plymouth Colony Records (also referred to as Plymouth Court Records, and abbreviated as PCR). It’s no easy feat, but we’ll walk you the process here. This post shares discussions and insights Kristin and I had after visiting Plimoth Plantation’s 1627 town site (November 2014). The good people at Plimoth Plantation have re-created the first settlement in painstaking detail, and it turns out, a Plymouth home — our AMB crime scene — wasn’t exactly as I had imagined it. The homes were smaller and with lower ceilings than I had figured (of course, I’m nearly six feet tall, so I have a skewed perspective). Also, the houses sat closer together than I had mentally plotted. We spent two days at Plimoth Plantation, viewing the homes and speaking with reenactors. As we shared our thoughts about Martha’s murder based on what we saw there, it must be remembered this is a 1627 re-creation — in other words, twenty years before her death. 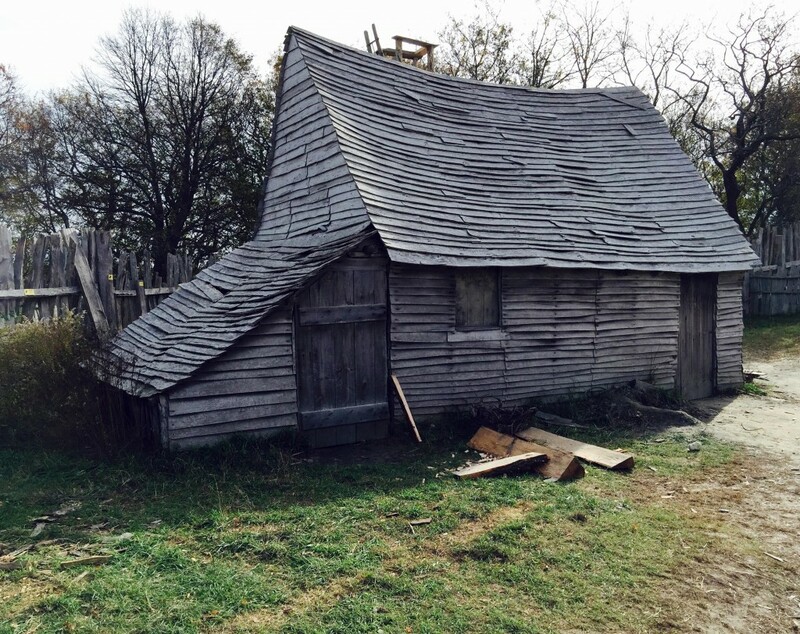 By the 1640s, colonists had more tools and construction supplies, and homes were built under less dire circumstances. Within two decades of the Mayflower’s arrival, several towns were developing in the wider colony, but we assume the Bishops lived in Plymouth town proper because the Ramsdens and Winslows (Josiah, head) were their neighbors. We are always on the lookout for the pre-Plymouth origins of our main characters, Alice Martin, George Clarke, and Richard Bishop. The more we research and learn, the more real these people become, and certain discoveries can be as titillating as any 21st century gossip. It was this kind of excitement that passed between Erin and me via text message, when I mentioned my latest find — that Edward Doty’s wife was named Faith Clarke. “GTHO” Erin texted back moments later, and after I figured out what “GTHO” meant (“Get the hell out!”), I realized that she was just as delighted as I was. If you look back at Erin’s piece on The Elusive George Clarke, you can read about Clarke’s disputes with Doty, and why Doty’s marriage into a Clarke family is potentially significant. The records indicate that the two were likely farming neighbors as Clarke drags Dotey into court claiming the latter is denying him access to his lands (PCR, vol 8., October 1637). In June of 1638, Dotey is fined for physically assaulting Clarke (vol. 1), and the bad blood continues for another four years, when Clarke is ordered to pay Dotey four bushels of corn for some infraction (vol. 2, February 1642). Ask Kristin. I am a curmudgeon of tourist. I sneer at the gift shops, recoil at the fellow visitors replete with whining teenagers and their fanny-packed parents. So, as we planned our trip to Plymouth, I dreaded the notion of visiting Plimoth Plantation on a Saturday in November. I’m all for historic preservation, but seriously questioned the quality of historic reenactments. For the record, “Plimoth” is the spelling Governor Bradford used in his history of the colony. Attitude, camera, and notebook in hand, I headed down to the 1627 “authentic” Plimoth village and was immediately smitten. Kudos to the nonprofit Plimoth Plantation for an engaging and transformative experience. I was especially impressed with the reenactors and their training (a new source of fascination for Kristin and myself). If there is an international standard for reenacting history, I’d wager Plimoth is setting it. Do visit – with your children or students especially – and live some American history. Certainly, the museum needs to fund itself so there is the usual array of retail – ye old tyme thermal mug, authentic colonial fudge (cocoa wouldn’t be seen in New England for at least another century). But these are kept at a tasteful distance from the reenactment sites. And, in full, ashamed disclosure, I skipped the Wampanoag village (Native American) as I was so intent on spending time in a home similar to Alice Martin Bishop’s. 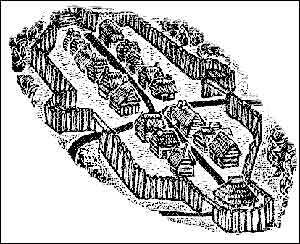 The Plymouth Town Records tell us that in 1653, “Abigaill Clarke” registered “a half moone on the right eare” as her unique branding mark, to identify her cow from other wandering Plymouth bovine (vol. 1, p. 2). 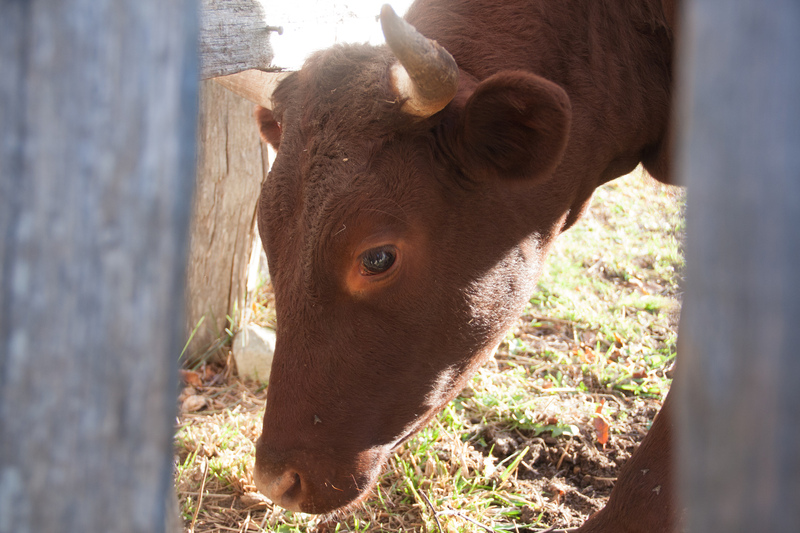 Cattle were plentiful in New England in the 1640s, to the extent that their value had dropped significantly by the time the Great Migration began to peter out in the early years of that decade. But while their value as a trading commodity decreased, they still played an important part in the daily lives of Puritan families — cows for dairy and breeding, gelded males primarily for draft work (Chartier, see below).